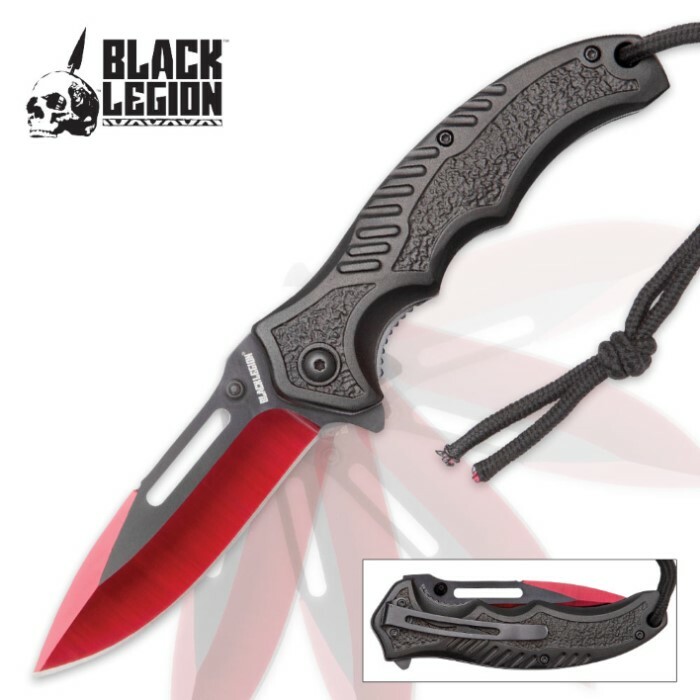 The Scarlett Assisted Opening Pocket Knife from Black Legion features a striking blade which is metallic red and black. This is one great-looking knife and a great all-around everyday carry. Keeping with a history of excellence, the 3 1/2" 3Cr13 stainless steel blade is sharp and can be accessed quickly with a spring assisted opening mechanism. 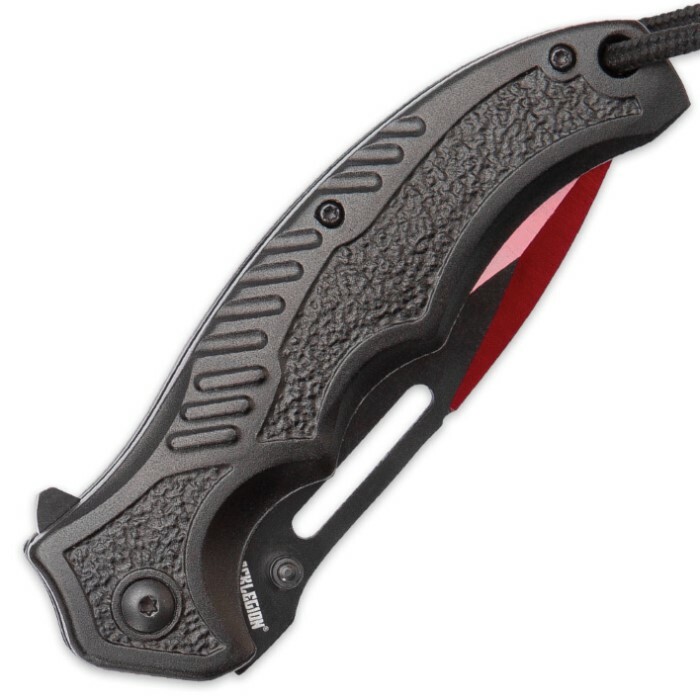 The pocket knife has a sturdy black aluminum handle, which has a lanyard hole with cord. 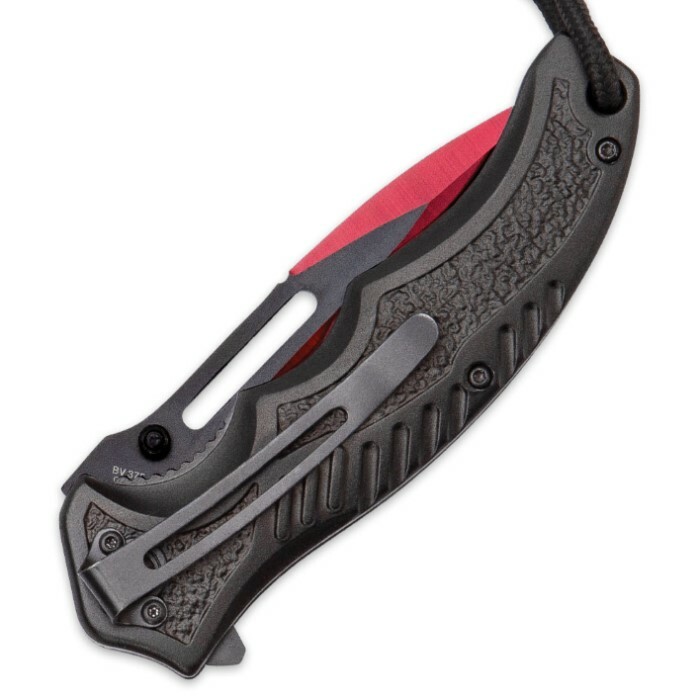 There is also a pocket clip for ease of carry.